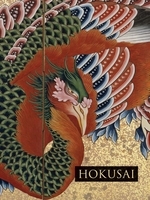 Hardcover, 9.5 x 11.75 in. / 350 pgs / 220 color. 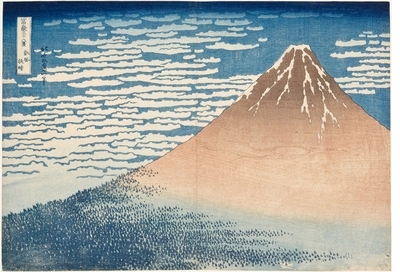 The undisputed master of ukiyo-e, Katsushika Hokusai (1760–1849) is celebrated not only for his series Thirty-six Views of Mount Fuji but also for his great versatility expressed in his treatment of all types of subjects: from landscapes to nature, portraits of kabuki actors, beautiful women, warriors and even ghosts and spirits, semilegendary beings and animals. 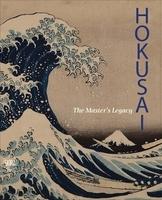 Hokusai is also associated with restless change: of residence, of name (more than 30!) and of style. He had dozens of followers, and each of them represents an aspect of the master’s vast oeuvre. 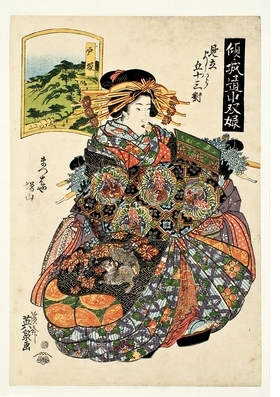 These include Shinsai, Hokkei and Gakutei, who in turn influenced the following generation of artists. 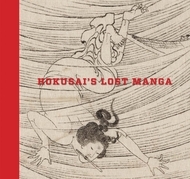 Through a selection of over 250 works from the Municipal Museum of Chiba and other Japanese collections, this publication offers a reading of Hokusai that also includes his legacy, accompanying and comparing his output with that of others who followed in his footsteps and gave life to new lines, forms and balances of color within the classic themes of ukiyo-e. FORMAT: Hbk, 9.5 x 11.75 in. / 350 pgs / 220 color.